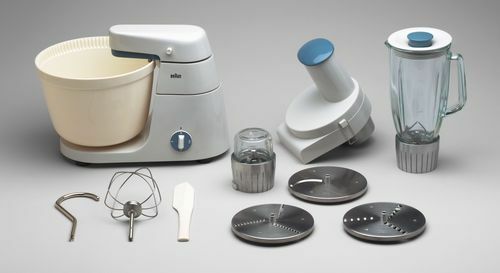 On September 15th, 2010, the Museum of Modern Art in New York will open an exhibition called Counter Space: Design and the Modern Kitchen. 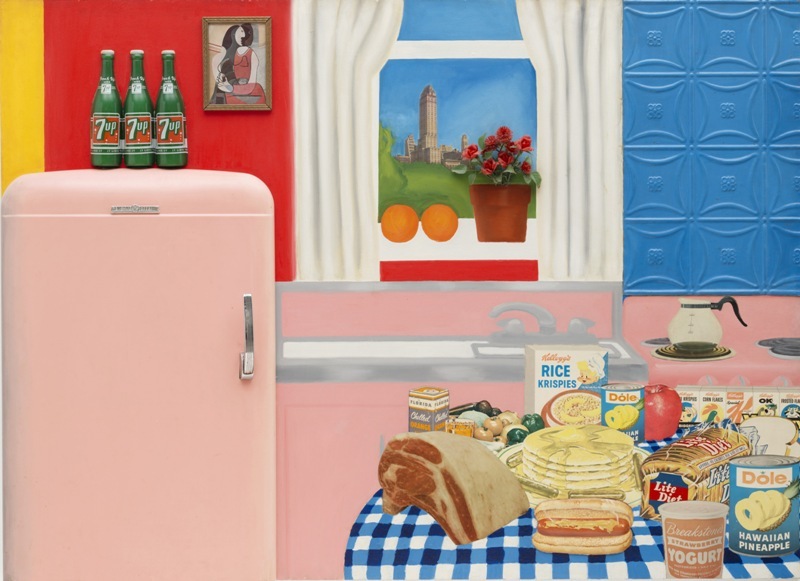 The exhibition celebrates MOMA's recent acquisition of an intact "Frankfurt Kitchen." 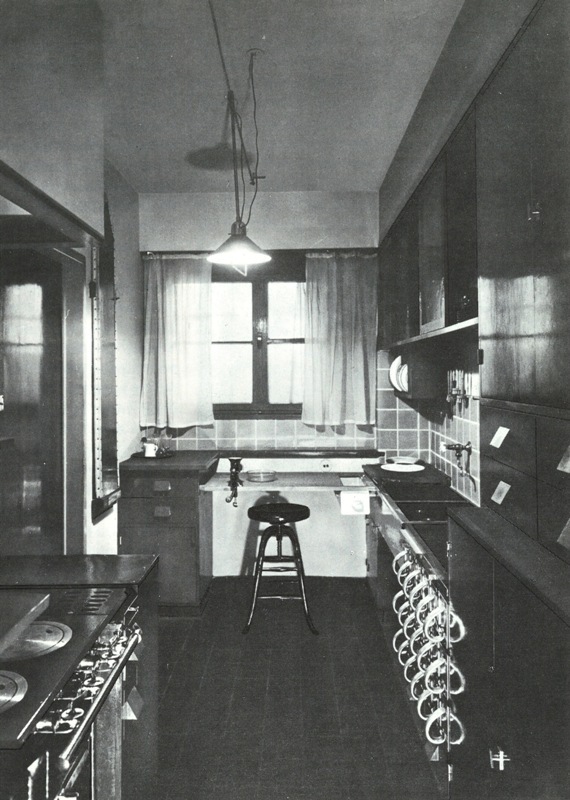 The Frankfort Kitchen was designed from 1926-27 by architect Greta Schütte-Lihotzky. The Frankfort Kitchen is the earliest example of a design executed by a female architect in the museum's collection. It's difficult to describe adequately the social upheaval that accompanied and followed World War I. Never before in human history had so many world powers been engaged in full-on conflict and no conflict before it brought the level of destruction as did the Great War. Germany surrendered effectively when it signed the Treaty of Versailles in 1919. The German Empire ceased to exist at that point and in its place arose the Wiemar Republic. The Wiemar Republic was a parliamentary republic as opposed to the imperial system that had guided Germany up until that point. Imperial Germany was a totalitarian state and as such it censored the arts and controlled most aspects of German life. The Wiemar Republic promised a new way of doing things and the German Constitution that ran Wiemar Germany granted a free press and the right to free association, among other things. All was not well for Wiemar Germany though. Germany was essentially blamed for the Great War and was compelled to pay enormous retributions as a condition of the Treaty of Versailles. Germany's economy was shackled and the Wiemar Republic ruled uneasily from the center as extremists to the left and to the right (along with their paramilitaries) jockeyed for power and influence. Against terrific odds, Wiemar Germany enjoyed a few years of economic and political stability in the mid-20s. It was in those few years of stability that German culture blossomed. The German educated classes were determined to bring Germany into the 20th Century and out from under the shadow of the Great War. In 1926 and 1927, blocks of modern housing units were built to house impoverished workers in Frankfort. It was into these housing units that Greta Schütte-Lihotzky's modernist kitchens were placed. 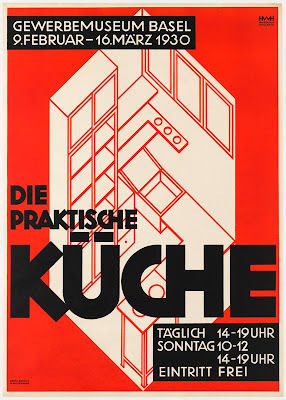 As I was pointing out in the post about Christopher Dresser last week, Modernism's roots run back to the 1880s and it promised a new way of looking at things. The modernist impulse was a rejection of European tribalism and the wars that nationalist movements spawn. The sentiment seems to have been that business as usual brought about death and destruction so let's try something new. 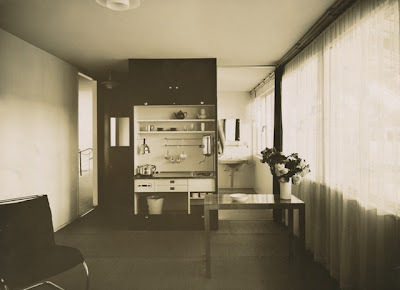 Alas, Greta Schütte-Lihotzky's kitchen designs could only do so much and within seven years Adolf Hitler would be chancellor. Still, her legacy and the legacies of her contemporaries live on. 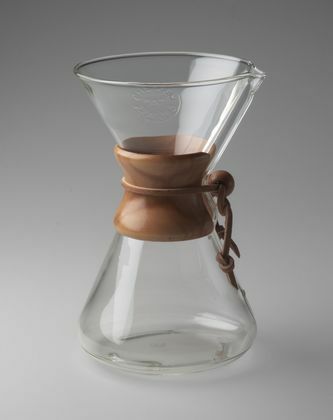 The Alessi kettle I love so much and my Bialetti espresso maker owe their very existence to their lives and their work. 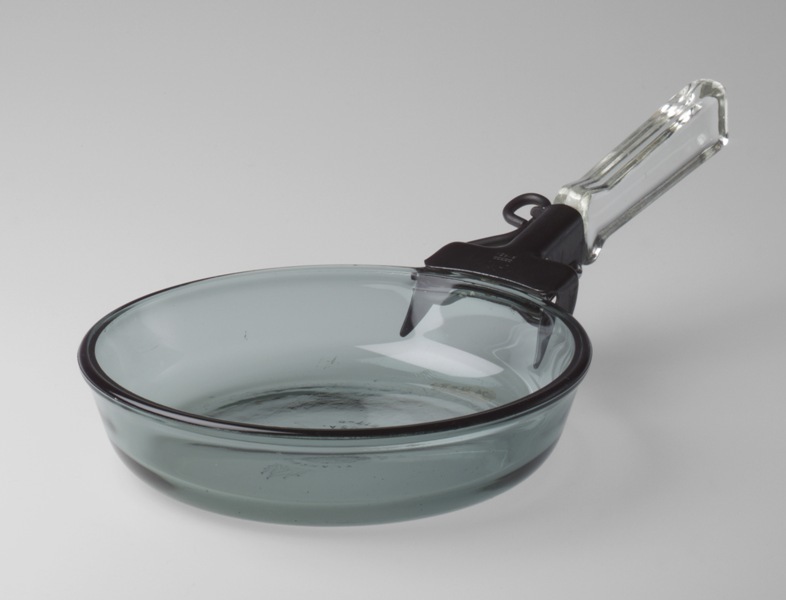 Everything I touch and see as I go about making dinner is the just the latest iteration of an art and design movement that wanted to remake how people live. As fascinating as it is to see where it's headed, it's equally fascinating to look back and see where it began. 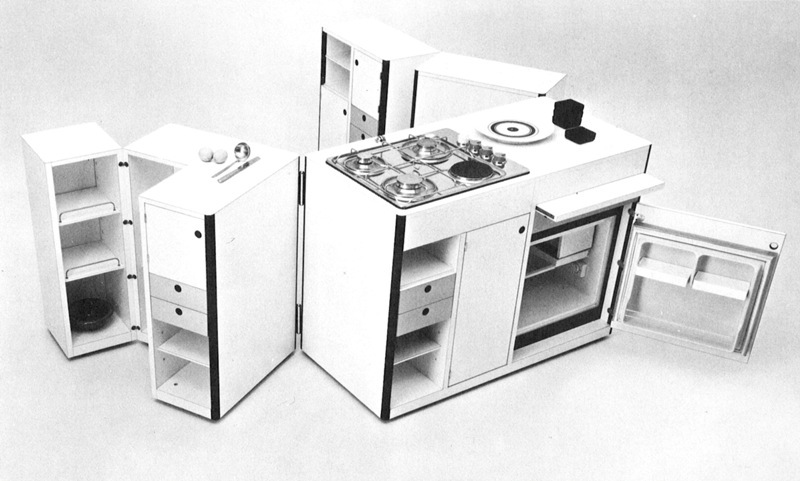 MOMA's exhibit, Counter Space: Design and the Modern Kitchen starts with Greta Schütte-Lihotzky and follows the evolution of the kitchen through the present day. The design collections at MOMA are as broad as they are deep and Counter Space will make extensive use of those collections. Everyday life is worth preserving and to see the evolution of the objects that are my stock and trade will be a unique thrill. Here are some of the objects in the exhibit. MOMA's examination of the 20th Century transformation of the kitchen runs from September 15th 2010 through March 14th 2011. Can you imagine how well-built those kitchens were?! I wonder if any are still in existence today in Germany. They're really neat. That first kitchen photograph looks like something that would end up in Dwell magazine today. I love seeing this stuff and I can't wait to see this exhibition. So when are we going to New York to see the exhibit? Fashion Week! You know, there was a time in the not too distant past when that was a smart alecky answer. I wrote a blog a couple of weeks ago on Poggenpohl, which is a German manufacturer that was established in Germany in 1892 by Freidemir Poggenpohl who started with white lacquer furniture and then introduced ergonomic work-top heights and storage innovations, ideas which revolutionized kitchens, really. I was taken by their latest designs and wrote about them, but I was also most intrigued with pictures on their site of their earlier designs. I posted one from the very beginning, about 1890 or so, of kitchen cabinets. The whole history of kitchen design fascinates me no end, though. I also came across the Hoosier Cabinet some time ago and was fascinated with it. They had their heyday in the early decades of the 20th century. Poggenpohl does some really edgy, interesting stuff and they always have. 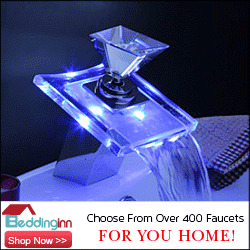 Have you ever been in a Poggenphl showroom? I feel like I'm in an amusement park when I go into the one on Park Avenue. I'm captivated this stuff too and what's so great about looking back at its roots is that it's easier to see the cultural stuff that resulted in those designs. The events of a given period of time drive design and when you know what to look for it's thrilling. You'll need to find your way to New York for this exhibit. If that Braun multi-purpose machine appeared tomorrow on Target shelves, no one would bat an eye. AMAZING. I have to get to New York this fall. I have to.